Any idea why an audio tour made me feel ill? This is all fascinating, I had no idea how audio headphones could have such an impact! 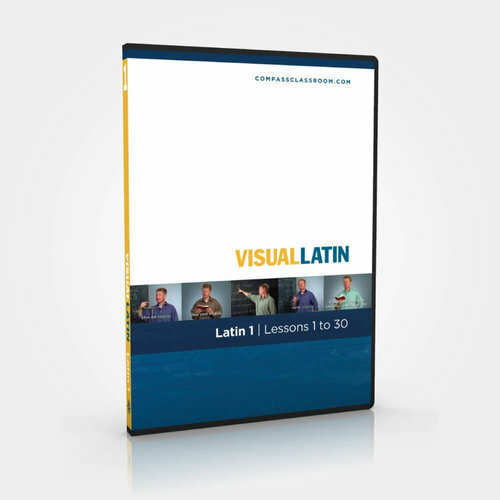 This is the complete DVD set for Visual Latin 1 and 2 from Compass Classroom. Two of the DVDs are still in shrink-wrap. Of the other 4, I never used them but did buy them used at a curriculum fair last year. I have decided to use a different Latin program, no problems with the set. Thanks for looking! What should I get with my Memoria Press gift card? Is the astronomy meant to be done over a year or half a year? So just out of curiosity, for those who have used this and responded - how are you defining “for the long haul?” Do many people use this into high school or would most be using it through middle school and then switching? Some have clarified this in their answer, others haven’t. Just curious. How to spread MP Birds over full year, or should I? Oh my goodness I am so excited for my son to do this course. So good to hear others like it so much. I also use Everyday Minerals and like it. I’d love to sign my DD up for multiple classes at MPOA but yikes, spendy! Do they offer any type of discount if you’re in more than one? And DD will be in MS Science 1, too. First time in an online class. So I’m leaning heavily towards using Memoria Press Birds for DS who will be in 4th next year. He loves birds and has multiple guides already and when asked he said he’d prefer this Birds course to others I mentioned. My question is - it appears it is not normally used over a full year, but is combined with HIstory of Medicine. I’m not interested in this for him in 4th. Would it work to either: 1. Combine it with Mammals 2. Add something (? Not sure what this would be?) to stretch it out? Or 3. Use as is and just enjoy doing science once a week on something he loves and call it good. I’d love any ideas! Games or activities to really emphasize base 10?